The Hun Summer Session courses are designed to help students gain credit and confidence in their high school studies. The American Culture and Language Institute (ACLI) is designed specifically for international students who wish to study English at an American school. 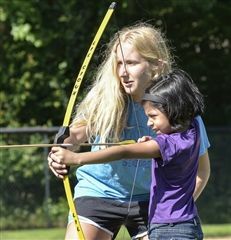 At Hun Camp, we focus on sharing our values of kindness, respect, cooperation and fun with each and every Hun Camper. Our 2019 programs will run from June to August, for ages 5 to 18. We are located between Philadelphia and New York City and nestled on an idyllic forty-five acre campus, less than two miles from downtown Princeton and Princeton University. See you next summer! of Hun Campers give our Dining Hall "5 Stars"
Hun Sports Camps are run by our varsity coaches. Come learn the fundamentals and skills from some of the best coaches in the area!